Dictionaries describes PINK as meaning – the color of unconditional love and nurturing. It’s the color of universal love. Pink is known to be a quiet color. Technically speaking Pink is the combination of red and white. The energy and intensity of Pink shade is driven by the amount of red released. “Pastel pink” expresses the innocent – soft romantic side of us while “Hot pink” gets the party started. And then there is “Fuchsia” that brings forth femininity. 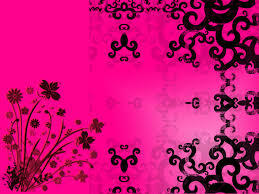 The female gender was predestined to Pink long before birth. Nurseries all over the world were decorated in the hue, proudly awaiting for the little princesses to arrive. The addiction of the pink palette has long occupied our closets and splashed our shoes, belts and purses. Even those who are not succumbed by the PINK, most likely hang onto some iconic heirloom from yesterday years. It may be a Barbie sitting in the hope chest or simply a special Valentine card that withstood time. This girlie shade has known traveled from couture shops to Americas mainstream malls. Just ask Victoria – she might share the secrets of the PINK lure with you. The hunting department isles of sporting stores across the country have been infected with the PINK hue. Available now are PINK guns, bows, hunting clothes and all sorts gear for the PINK OBSESSION. And let’s not forget to mention the huge PINK trash containers that are lining up the streets of our neighborhoods on trash pick up day. Dare I mention that some of the pick up trucks themselves are also in the PINK. It was once said by a female famous songbird, “girls just want to have fun”. For you males out there feeling left out – PINK crossed over decades ago. Everyone can stand for the message of PINK, hence the world would be a more peaceful place today.